Mostly garnet now with touches of ochre, pink-orange rim. Fully mature with a tilt towards pongy organics. Compost, animale and sous-bois – indeed, this Pougets smells like us! No goût de grêle, though, and these rather fetid aromatics peel back to reveal a wine of substance underneath. Capacious fruit and nut character with a touch of velvet: raspberry eau de vie, nut-skin, citrus peel, white truffle, sweet meats. Complex and vigorous at the end, finishing in a lapidary minerality. 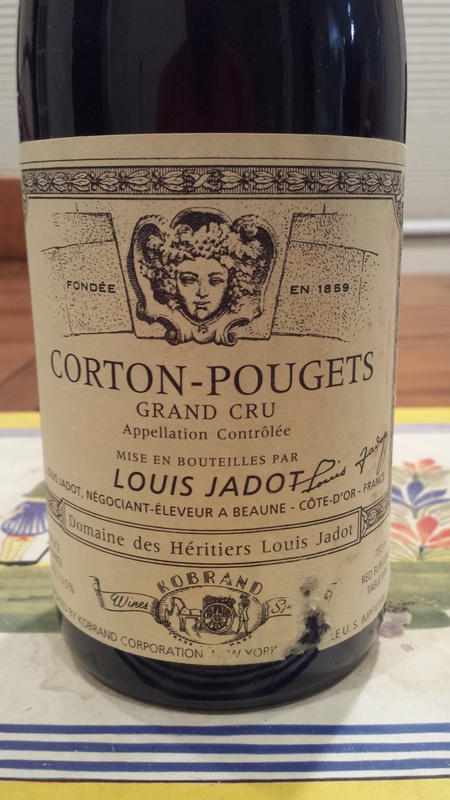 A Corton Pougets of character and strength. Given the vintage and bottle variation, however, it is difficult to recommend holding any of the ’83s back. For drinking soon.